If you are searching for Generac generator repair or installation in Albany, NY, Lammon Electric can help! Damaging winds, ice storms and winter sow can all knock out the power to your home. If you would like to be able to still have electricity functioning during a power outage, contact Lammon Electric to install a standby Generac generator at (518) 274–5100. We install standby Generac generators for home and business in the Albany, NY and local surrounding areas. We are experts in emergency Generac generator repair and installation in Albany NY. Common search queries used to find our Generac generator repair and installation services include: Standby generac generators albany ny, generator repair new york, generac generator repair, emergency generators repair, generac generator problems, home generator repair near me, generac portable generator repair, generac generator repair near me and generator repair near me. Having Generac generator problems and don’t know how to fix them? Have the licensed electricians at Lammon Electric come out and fix your Generac generator for you! If your Generac generator is broken, you are left with no power until you can get it back up and running. 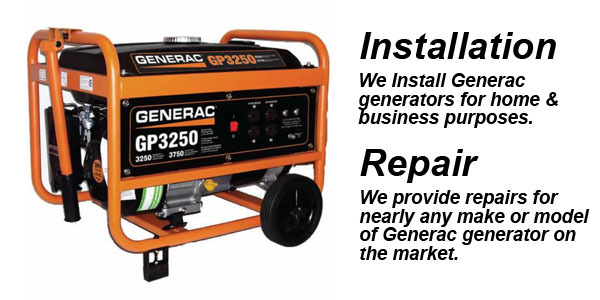 We are experts in repair and service of Generac Generators, also known as emergency generators, or stand by generators. We offer home owner Generac generator repair for gas, propane, or oil Generac Generators. No matter if we installed your generator or you got it installed by someone else, Lammon Electric is happy to perform routine maintenance on your generator or a full service repair. We offer commercial Generac generator repair for gas, propane, or oil Generac Generators. Business owners know that there power needs to be up at all times to fully service customers properly. Let Lammon Electric, LLC get your business back up and running in a flash with our Generac generator repair. 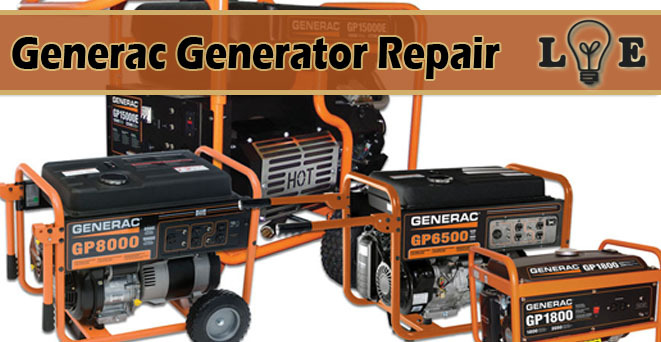 We offer emergency Generac generator repair if you Generator stopped working and you do not have power in your home. We can send our technicians out to your home or building immediately to fix whatever problem you may be experiencing. We can troubleshoot the problem fast and offer a quick repair to get your back up and running with electricity again. If your existing standby generator can’t be repaired, we can replace it and install a brand new one. If you do not have an existing generator or are wanting a better brand we also offer standby Generac generator installation services. A oil, propane, or gas Generac generator will start automatically during a power outage and continue to run until power is restored. There are many different types of generators , depending on the unit you choose, you and your family will still be enjoying air conditioning or heating, lighting, watching TV and accessing cold food and drinks in the fridge. Generac started the wave of home backup generators. 7 out of 10 homeowners who own a generator own a Generac generator. Don’t ever worry about running long extension cords through your doors or window ever again! Generac generators deliver electricity straight to the electrical panel of your home. For Business Owners in the Albany, NY area: Generac generators help protect your bottom line by offering you a competitive advantage over your competition. While there business is at a standstill, your business will be up and running without a second lost. Not only do portable Generac generators protect your home and business but also can be used to make tailgating and camping for eventful. Also, these generators make even the most remote DIY project attainable. What is a Generac Generator? A Generac generator is a standby emergency power generator that is used to power your home when utility electricity isn’t working. Generac is a company started back in 1959 that is the largest provider of generators for residential and commercial properties. For 50 years they have perfected their generators to be the highest quality and most affordable generator on the market. They offer a wide variety of generators for multiple applications. Our service area for emergency Generac generator repair & installation in New York includes: Albany, Troy, Renssalaer, Menands, Loudonville, Newtonville, Latham, Green Island, Cohoes, Waterford, Speigletown, Sycaway, Eagle Mills, Wynantskill, NY and more. Having problems with your current Generac generator? No problem, we offer Generac generator repair and installation in Albany, NY and the rest of the Capital District area.